Find North Carolina Public Radio on terrestrial radio at 91.5 FM in the Chapel Hill/Raleigh/Durham area; at 88.9 FM from Manteo, serving the North East outer banks and coastal communities; at 91.9 from Fayetteville; at 91.1 just south of Winston-Salem in the Welcome, NC, area; and, at 90.9 FM from Rocky Mount (see coverage map below). The station also streams 24/7 online. WUNC provides high-quality news, cultural and entertainment content to create a more informed and engaged community. WUNC is a trusted source of objective and transformational content reflecting our region and expanding our collective understanding of the global community. North Carolina Public radio strives to influence public life by focusing on civic and cultural issues. WUNC creates original programming that reflects the diversity and range of opinion in North Carolina. Our goal is to be connected with the community. The station provides consistently high quality public service programming presented with integrity. WUNC Radio strives to maintain and support a staff, advisory board and program service that reflects the communities it serves. By design, WUNC is a media outlet that celebrates the power of diversity on-air, online and in the workplace. WUNC believes that diversity considerations include race, gender, disability, protected veterans, religious belief, age, nationality, sexual orientation, gender-identity, physicality, education and socio-economic status. To recruit, support and retain a diverse workplace that represents the community it serves. Particular attention is paid to the staff that create content. To produce content that includes diverse voices, opinions and perspectives. To provide equal opportunity in employment and follow all EEO guidelines and principles set forth by the University of North Carolina at Chapel Hill. To seek candidates for WUNC’s Community Advisory Board that represent geographically diverse communities it serves. To create and maintain opportunities for emerging radio professionals from diverse backgrounds to develop the skills needed to succeed in Public Radio. 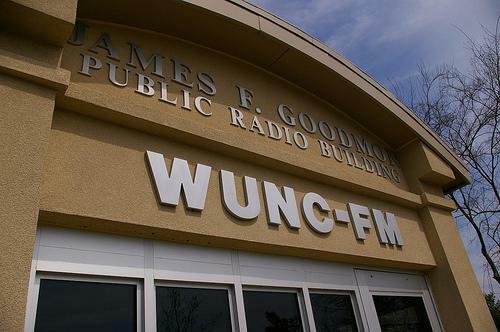 Donor privacy and security is a top priority for WUNC Radio. Gifts received during on-air pledge drives are recorded manually by WUNC staff and volunteers who are closely supervised by WUNC staff. The pledge information is entered into an electronic format that is loaded into a secure database. All electronic pledge submissions are encrypted, secure, and password protected. All stored credit card information is access-restricted to WUNC's database manager. WUNC-FM has always had a policy of absolute donor confidentiality. WUNC-FM has never shared its donor or e-mail lists with any organization. WUNC-FM will never share its donor or e-mail lists with any organization. 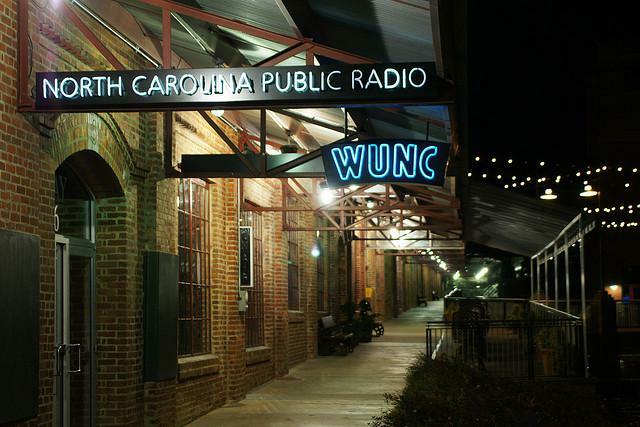 WUNC-FM's news and informational programming make up the core of the station's public service. Any activity that undermines the credibility of such programming debases the currency of our realm; and, clearly, trading donor or e-mail lists with political organizations or partisan organizations would undermine the station's reputation for balance, fairness, and accuracy. Moreover, a listener's decision to support WUNC-FM or to join a WUNC mailing list is a fundamentally private decision. WUNC-FM is committed to keeping that decision private. Here are our rules for participating in WUNC social networking features, including discussions and comments. This extends to comments posted on our Facebook page and other social media. Current job openings are listed here on our website.